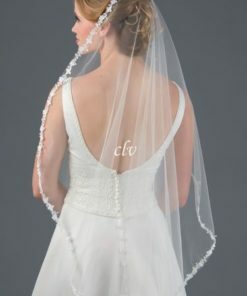 A fingertip length wedding veil graced with a delicate silver serged edge with floral appliques, rhinestones, and pearls attached. 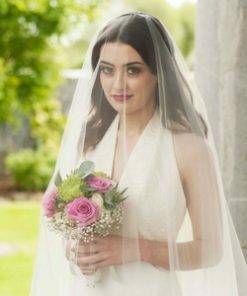 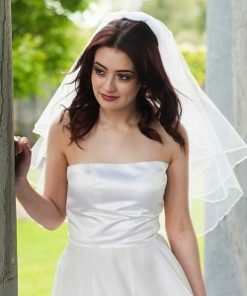 A lovely veil to compliment most gowns. 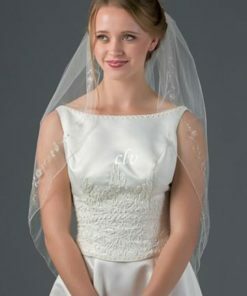 A fingertip length veil graced with a delicate silver serged edge with floral appliques, rhinestones, and pearls attached. 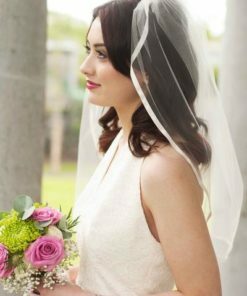 A lovely veil to compliment most gowns. 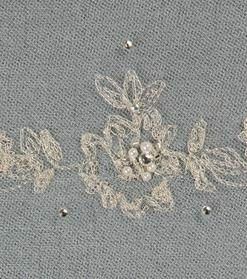 Handmade in the USA; ships 2-3 days after purchase.